Psalm 139:14 (NKJV) I will praise You, for I am fearfully and wonderfully made; marvelous are Your works, and that my soul knows very well. I can’t even remember the name of the restaurant chain but it taught me a valuable lesson about investing. Years ago there was this restaurant chain that was sort of a precursor to Cracker Barrel. They had that same “country feel”. I thought it was so cool that they served their excellent iced tea in Mason jars and their homemade biscuits were tops. They also offered molasses to go with those biscuits—yum, yum! (I truly am a country boy.) The memories keep coming back—they had great fried chicken also; but hey, I’m getting way too carried away with this—better stop before I get myself worked up to the point I will have to make an early run to Bo jangles. But anyway, I heard that the restaurant was having financial troubles and that their stock was real cheap. I thought to myself, surely this is a chance of a lifetime and I plunked down some of my hard-earned very scarce dollars and brought a few shares…very dumb. In a few weeks I learned a great lesson, for you see, the shares of the restaurant chain continued to plummet and one day I put my blinker on to turn into “my” restaurant (after all I owned stock in the company) and discovered it had been shut down—not only that particular restaurant location but all the restaurants; the company had gone bust and I lost all my money. I have the actual stock certificate packed somewhere in the attic; it is a reminder of a value lesson (several actually, but I’ll only torture you with one). One of the lessons I learned was: there’s a huge difference between a share of stock and a work of art. What I mean by that is that a work of art can be sold on the market or can survive without the market, but a share of stock in a company is only valuable on the market. 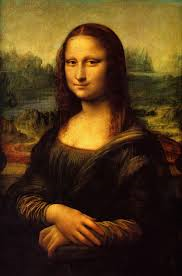 Take for example the Mona Lisa—it is a work of art that is valuable with or without a market that determines its value. Matter of fact, it is so valuable that there’s not really a market for it—it’s not for sale. On the other hand, the shares of the restaurant I brought are worthless today—they were only designed to be sold to the highest bidder and unfortunately there are no bidders. Here’s the one thing I’d like for you to take away from all this rambling—you must see yourself as a one of a kind work of art made by God who is sold on the market or who can survive without a market. For example, if you are gainfully employed then every day you go to work you and are “sold on the market”; your company puts a price tag on your worth—it’s called a pay check. …there will come a day that there will not be a market for you and your investors will walk away and buy into the next rising star. When that happens all that will matter to you is the people who value you whether there’s a market for you or not. Whatever you do, don’t forget those people now—they’re your most important investors and their worth to you does not have a price tag. By the way, I asked my wife the name of the restaurant (who needs Google when they have Sonja) and she told me it was “Po Boys” – that figures! Tags: Friendships, Investing, Self-worth. Bookmark the permalink. Oops! Your personal “Google” got it wrong. It was Po Folks, not Po Boys. Sorry!